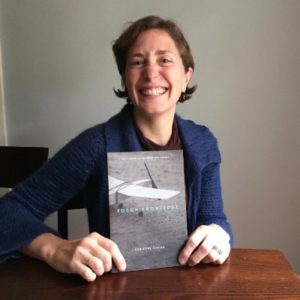 Congratulations to Christine Poreba on her January 10th release of her first book of poems, Rough Knowledge, with Anhinga Press. We proudly claim Christine as part of the FSU Art family. She received the 2014 Philip Levine Prize in Poetry, which included a $2,000 award and the publication of this book. She will be doing a Release Reading on 1/28 at 7pm at Black Dog on the Square here in Tallahassee then traveling to Gainesville, Fresno, New York and Los Angeles. Thursday, February 11th at 8:00 p.m.